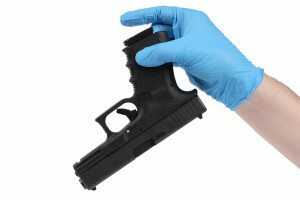 As many individuals know, carrying weapon or firearm requires a series of procedures one must navigate before the weapon can be carried legally. If you are considering carrying a concealed weapon, the requirements are even more difficult to satisfy. However, carrying a concealed weapon without legal justification can be punished with extremely harsh criminal penalties. 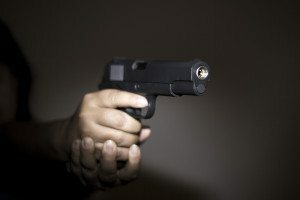 While it is always better to secure the necessary permits before carrying a concealed weapon, some people did not know that such a requirement existed or may have misinterpreted the actions they were required to take. Individuals who are found to be carrying a weapon without the necessary permits can face felony charges. All too often, it seems that tourist and other well-meaning individuals get caught up in the criminal justice system for technical violations of New York concealed weapons laws. 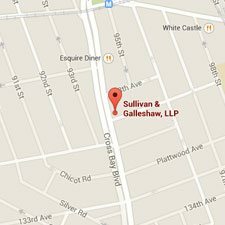 The experienced attorneys of Sullivan & Galleshaw can fight to protect your rights and work to reduce or eliminate the potential sentences you face. 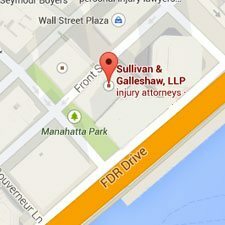 How do I apply for a concealed handgun permit in New York? By default under N.Y. PEN. LAW § 265.01, it is illegal to carry a weapon, in any capacity, without a permit. Since New York open carry permits are extremely rare in the state, all individuals wishing to carry a firearm must apply for a concealed carry permit. A number of permits are available depending on your needs, occupation, and job duties. The permits confer varying levels of authorization as to where and in what manner you may carry a concealed weapon. It is a class A misdemeanor to carry a concealed weapon without a permit. Penalties include a fine of up to $1,000, up to 12 months in jail (or three years probation), or both. • You have reached age 21 or older or have been honorably discharged from military service. • You must be able to show that your moral character is sound. • You may not have been convicted in any jurisdiction or serious crimes or felonies. • The individual is not a user of any unlawful substance as defined in the Controlled Substances Act. • The individual is legally and lawfully in the United States. • For Westchester county applicants only, you have completed the mandatory and legally sufficient firearm training course. • Individuals who have not had a guardian appointed by the court due to disease, illness, or lack of mental capacity. Licenses can be issued for a variety of purposes. Concealed carry licenses include those for a gunsmith or firearms dealer, a homeowner, a messenger employed by a banking institution, and those for certain judges and justices. Other licenses can include for carrying an antique pistol. New York does not issue permits to non-residents. Furthermore, New York does not honor the concealed carry permits issued by any other state. Therefore it is unfortunately all too common for a visitor to the state to face serious charges due to their lack of knowledge regarding New York’s regulation of weapons. 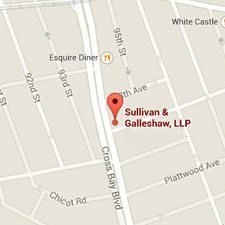 The experienced criminal attorneys of Sullivan & Galleshaw are dedicated to fighting for well-meaning New Yorkers and visitors who have been swept up by New York’s often harsh gun laws. We believe that a simple mistake should not ruin a life and therefore fight to reduce the consequences you face due to concealed weapons charges. To discuss your charges or concealed weapons concerns, call (800) 730-0135. We offer free and confidential initial consultations.